Google AdSense for Content text-ad located on the right. Changes detected. 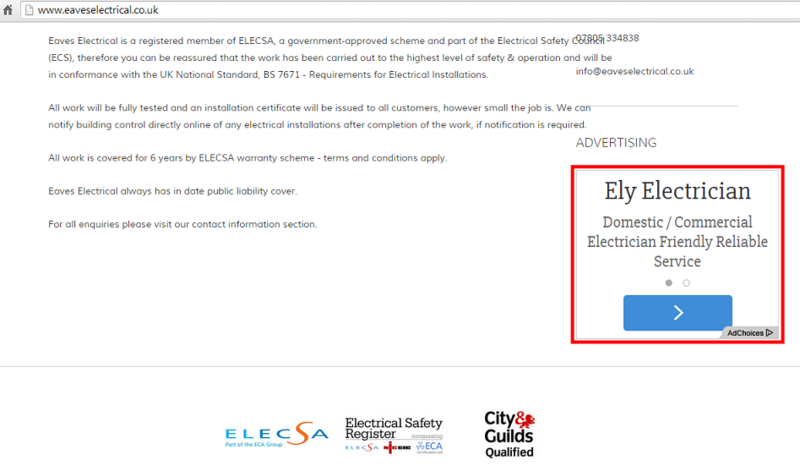 Website redirects to a different website (eaveselectrical.wix.com) and no ads being served on that website too.